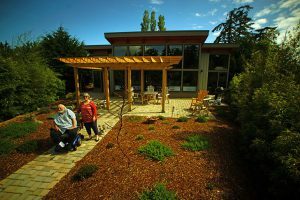 We are thrilled to share two articles that were published this week about our recent AIA / HUD Secretary’s award-winning project in Port Townsend, Washington. The first is by Fast Company, and features a discussion with FabCab architect Don Argus on how we integrate universal design into our work, as well additional context about accessible housing solutions. The second is by the Port Townsend Leader, a local news publication where the home was built. It features an interview with the homeowners themselves, and provides context on some of their particular needs. It also includes thoughts by FabCab program manager, Bruce Waltar, and gives an overview of the awards program itself.